Almost all the jurisdictions provide guidelines for bail bonds in order to decide the bail of any convict. A panel of judges has a certain degree of freedom, which it can use to grant bail while considering numerous factors like gravity of the crime, relation of the defendant with that respective area, its criminal background and inclination towards jumping the bail. Also, there are many reasons for which a court may deny bail to a convict. One of the very first reasons for bond revocation is the magnitude of the criminal history of a convict, which might prompt the court not to grant bail and let him/her stay behind the bars. Another common reason for bond revocation is jumping bail where people, who don’t have any family or full-time professional career, are likely to flee and fail to appear in front of the jury. Also, if the crime warrant is really severe, the judge may decide to revoke the bail. There are many important things and facts about bail bonds, which a person should know about in order to avoid their bond revocation or that of their loved ones. This article deals with the questions, which are frequently asked regarding bail bonds, their process, professionals involved and costs associated with them. How to convince your judge for bail reduction? If you want to really convince your judge for bail reduction, you should prove to him/her that you have deep ties with your community because of your family and full-time career. You should ask your family members as well as friends to attend your trail and present your case as a defendant. There are no other ways to get your bail reduced as judges are very particular about the gravity of the crime committed by a convict and its tendency for jumping bail. Is there something that I should know before contacting a bail bondsman? Your bail bondsman will require some information from you so as to assist you in getting a bail. The information will consist of the convict’s location, its full name along with its jail booking number for interaction purposes and the amount of money needed for getting the bail as well as its requirements. How can I acquire the bail bond for getting out of the prison? You can post the full bail amount to your jail or court or you can instead use your real property for getting a bail. Another way is to leave the decision of getting a bail on the judge depending upon its recognizance. However, the most effective way is to hire a competent bail bondsman. There are various efficient bail bond firms such as affordably easy bail bonds, which apply confidential, calculated and personalized strategies to help their clients get the bail smoothly and go through the whole process without any disturbance. What to do if I am not able to afford the bail money? 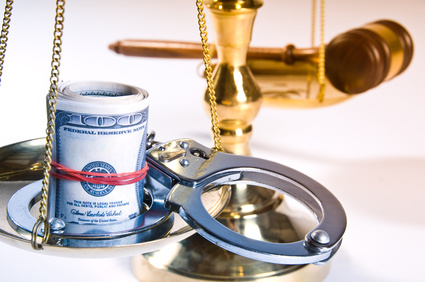 You should opt for a bail bondsman in case you are not able to afford the bail amount. You will have to pay your agent about 10-20% of the whole money and he/she will present the remaining amount as bail to the court. You have to submit one of your collateral assets like real estate, stocks, bonds, bank accounts, bonds, cards, jewelry and personal credit. It is a kind of security to prevent the convict from jumping bail as if the suspect fails to appear in front of the jury, the bail will be forfeited and an arrest warrant will be issued for him/her. You can also post your bail even when you haven’t acquired a bond. Also, it takes about 48 hours to set a bail of any convict. You may hire an attorney to represent you, but it will be of no use since the judge will have the full power over the hearing. If you have to leave the region or nation urgently, then you have to inform the bonding office as well as court and get permission for doing so. Ask for the agency’s rate chart to see how you are being charged.